Have you looked at your roof lately? Do you need a roof inspection or a roof replacement? It is recommended that you have your roof inspected twice a year — once before the first, hard freeze and another in the spring when everything is thawing! A roof in dire need of a replacement will be leaking moisture into the walls and ceiling of a home, contain mold, and rotting wood. If you’re to this point, don’t delay and have a professional service it ASAP to save you from a financial ticking time bomb! 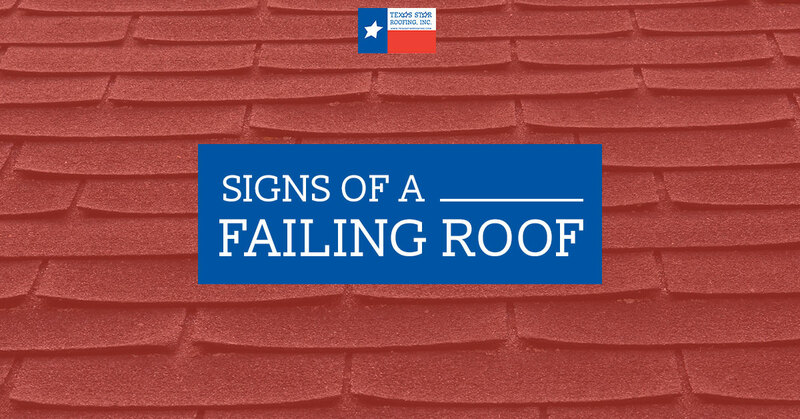 Follow along and inspect your roof for the signs of a failing roof! Depending on the type of shingles or roofing system you have, generally a roof will see the end of its days within 20 to 25 years. Many factors will change the length of your roofs lifespan such as weather, roof repair, and how well it was installed. If your roof is beyond 20 years, have it inspected by expert and get their professional opinion. If you have shingles that have up and vanished or have shingles that are barely hanging on, this is an omen that bad things may come. 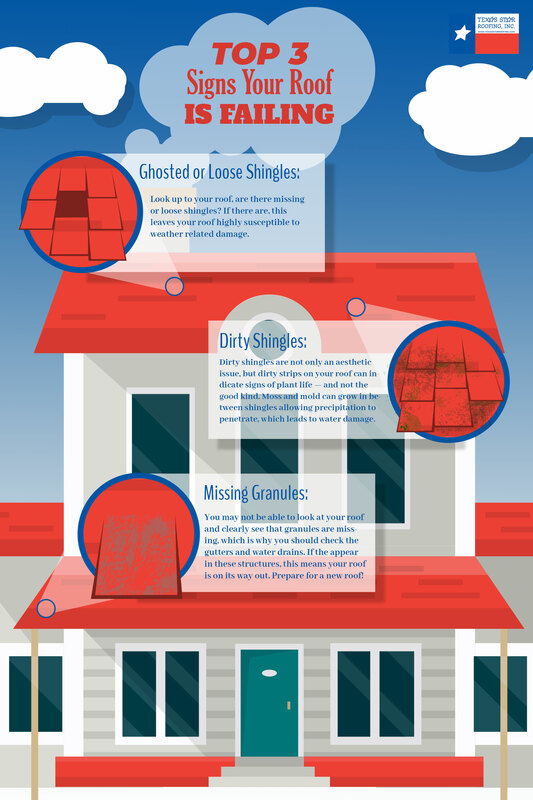 Missing shingles leaves your roof vulnerable and unprotected from the elements, allowing for water, snow, and ice to cause water damage to seep into the interior of your home. You can also see visible water damage from a failing roof indoors as stains in the ceiling and on the wood. Your ceiling may also sag or bubble from where water is collecting. If your shingles are overly dry (most often seen in wood shingles), cracked, curled, or blistered, they have reached their last leg. If shingles show wear and tear in any of the above mentioned scenarios, and then see heavy precipitation,this can either break them entirely off, leave your roof susceptible to water damage. If there are areas or strips on your roof that appears dirty or darker than the rest, this color variance could indicate an overgrowth of algae, fungus, or vegetation. An overgrowth can affect the integrity of granules on the shingle, resulting in faster wear and tear on your roof. Granules are the little, coarse specs on the roof shingle. If you notice — which is why you should periodically check your roof and gutters — missing granules, granules in your gutter or on the ground, this is the end of a roof’s lifespan. The granules duties are to protect the shingle and roof from UV light and overall weather. If they’re missing or you have bald shingles, again, this makes your roof susceptible to weather damage. Flashing occurs when a structure unites or joins with and on top of your roof — this can be a chimney, wall, or skylight. If the flashing is damaged, missing, or broken, this can allow water and moisture to easily penetrate. 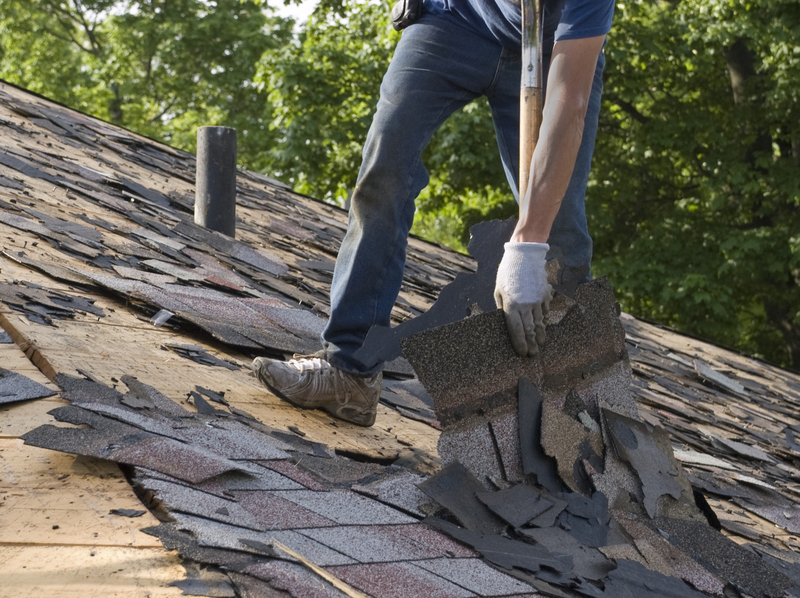 A domino effect happens when you fail to have a roof inspection or roof maintenance. Once water gets in either through missing shingles or granules, this leads to water damage that creates mold, rotted wood, and structure failure. At Texas Star Roofing, we never want to see your roof in such disarray which is why we offer a free roof inspection!